London police carry out more raids in connection with their investigation into Saturday's attack that killed seven people and wounded more than 50 others. 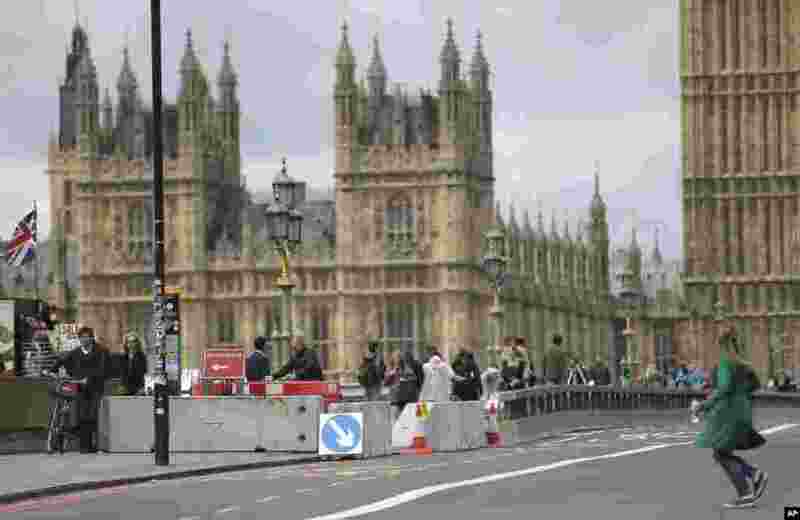 5 Pedestrians walk by newly installed barriers on Westminster Bridge in London, June 5, 2017. 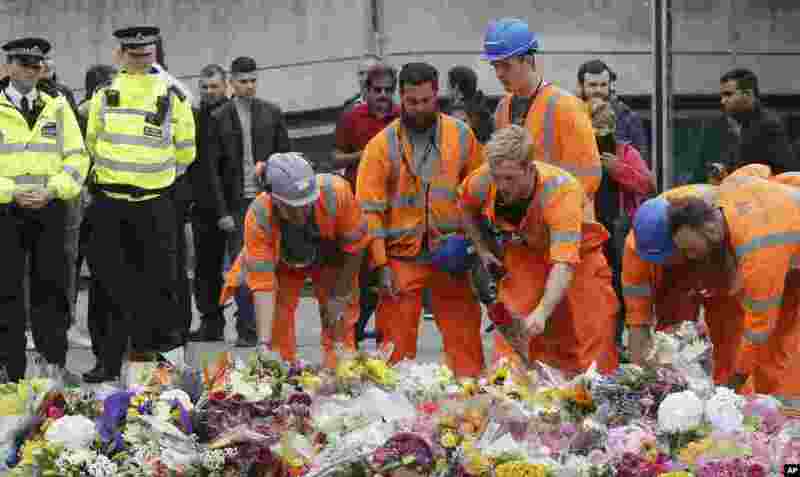 6 City workers lay flower tributes in the London Bridge area of London, June 5, 2017. 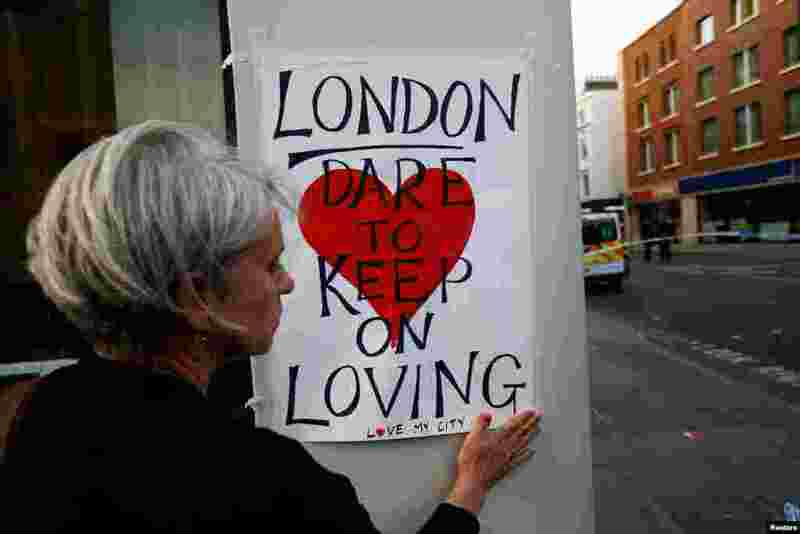 7 A woman attaches a sign near London Bridge, where attackers rammed a hired van into pedestrians and stabbed others nearby, June 4, 2017. 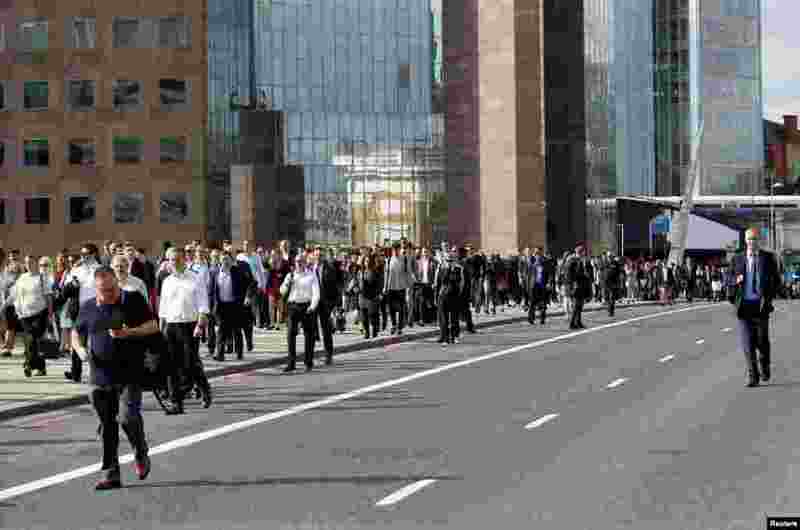 8 Commuters accross London Bridge after is was reopened following an attack which left seven people dead and dozens of injured in central London, June 5, 2017.